Registration will close when a division is full. Most divisions were at capacity in the Spring and last Fall. There is a $20 late fee assessed for all registrations completed after January 1st. Cost is only $110 for Gardens’ residents. Non-residents are charged a $55 non-resident fee. This fee is a direct pass through to the City of Palm Beach Gardens. Your third child is free when registered for a single sport. February 16th – March 4th - The team practice schedule will start February 16th and will continue until March 4th. 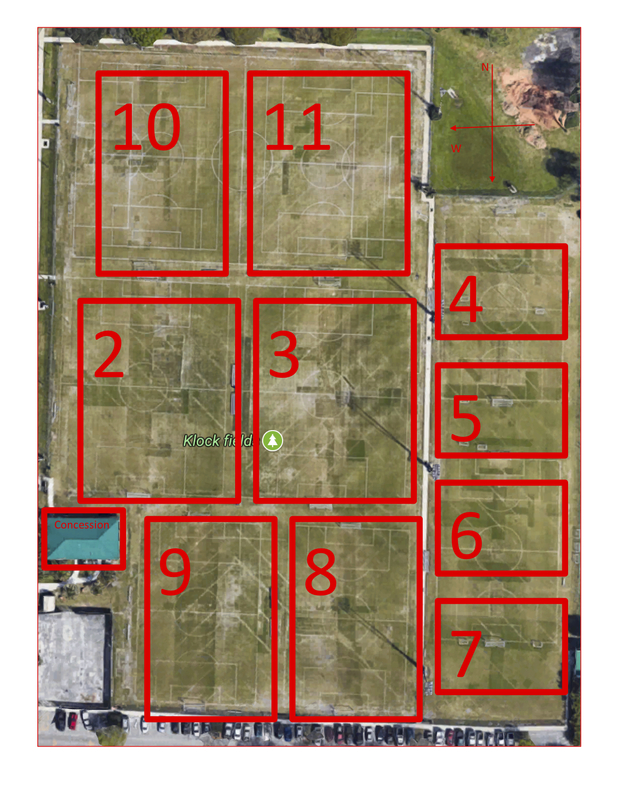 Each team is allocated field space for two practices a week, one weekday evening practice and also a practice on Saturday. Saturday, March 9th - The season’s official Opening Day will be Saturday, March 10th. All teams play on this day, and there are other activities available for the kids including bounce houses, snow cones, and the opening of the Concession Stand. All players receive a soccer ball, uniform kit (jersey, shorts, socks), participation trophy and access to free clinics administered by trainers from the Predators Competitive teams.